Karim Benzema continued his excellent form to hit a brace as Real Madrid won 3-1 at Girona (7-3 on aggregate) to reach the Copa del Rey semi-finals for the first time since 2014. 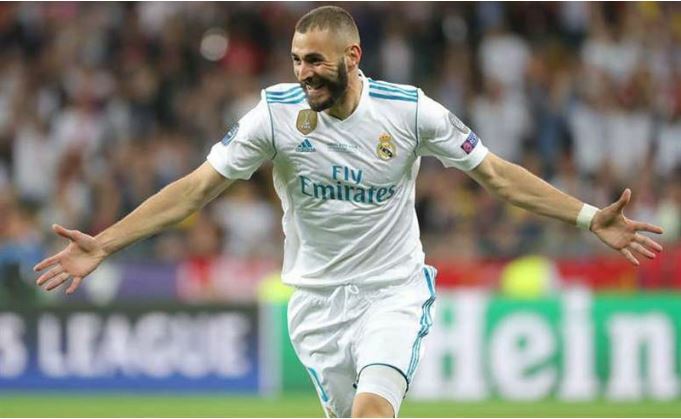 After an emphatic 4-2 victory in the first leg Madrid were firm favourites to progress and the excellent Benzema ensured they did with two first-half strikes. The Frenchman slammed home after cutting in from the right after 27 minutes then curled a finisher into the far corner to double Madrid’s lead on the night. Benzema’s double takes him to five goals in the last three games and 17 in total across all competitions this season. Pedro Porro pulled one back for Girona but Marcos Llorente restored Madrid’s two-goal advantage at Montilivi with a powerful drive from the edge of the box. European champions Madrid join cup holders Barcelona, Valencia and Real Betis in Friday’s draw for the semi-finals. “We are very happy because we continue onwards,” said Madrid goalkeeper Keylor Navas.